A care kit is an essential part of owning a guitar. Not just for wiping off those greasy fingerprints, but for keeping your investment humidified in dry, heated spaces year-round as well as clean of dust, scratches, and yes, fingerprints. Our microfiber polishing cloth can be thrown in the washing machine, is untreated, and won’t scratch your finish. 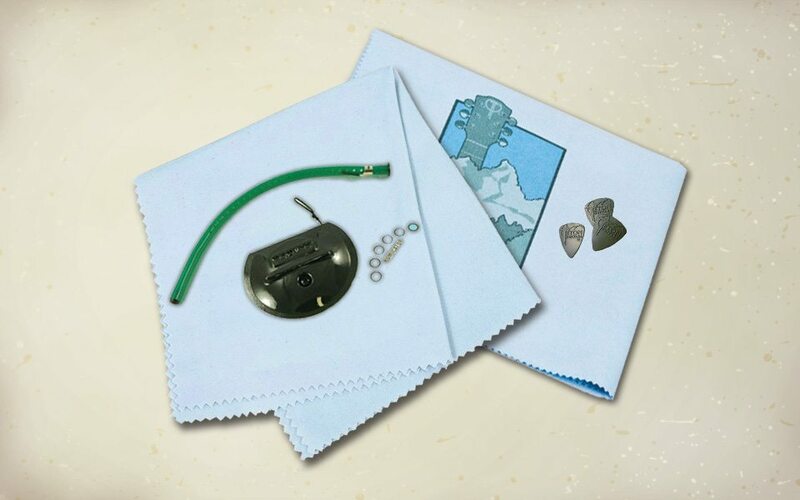 Our Teton acoustic guitar care kit includes a soundhole humidifier, a microfiber polishing cloth, and 3 assorted Teton picks.